This great game lets you take the role of a farmer. 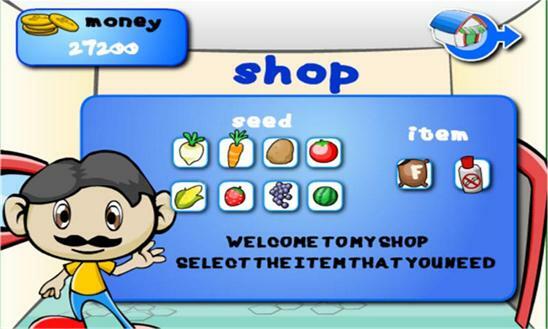 Manage your farm and makes money by plant and harvest vegetables or fruits or sell the chicken eggs. How to play: Buy seeds and chickens. 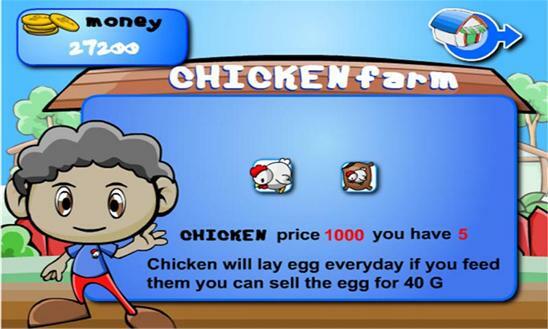 Grow and harvest your plants and collect and sell your chicken eggs.